LEGO Batman 3: Beyond Gotham only $11.99, FREE Shipping Eligible! 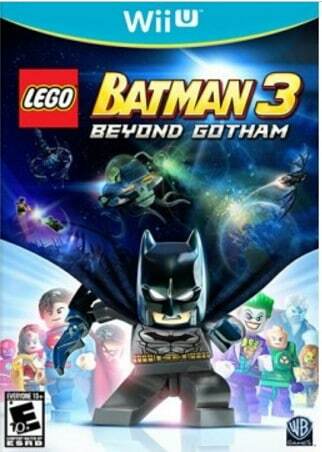 Head over to BestBuy.com where they have LEGO Batman 3: Beyond Gotham on clearnce for only $11.99! That is 40% off the regular price of $19.99 and a great price for the newest version of this game! Join Batman and a host of super heroes and villains on the quest to defeat Brainiac before he can miniaturize our cities and other planets with the awful power of the Lantern Rings. Shipping is FREE if you choose in-store pickup or have a $35+ order.